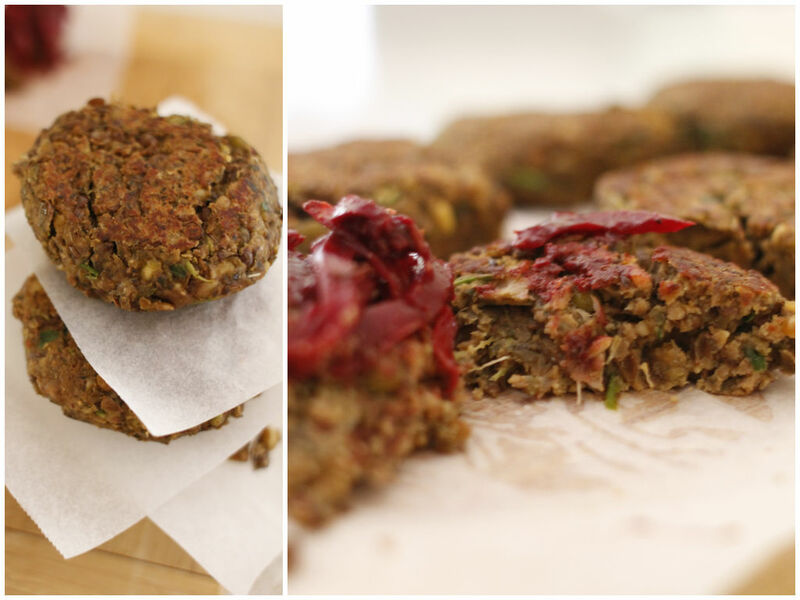 Have you ever tried packaged vegetarian burgers from the supermarket before? I have. I don’t know what I was thinking. It was horrible, overly salty and mushy. In fact, making your own at home is damn easy and a lot healthier. The secret to making a good vegetarian burger comes from the patties. 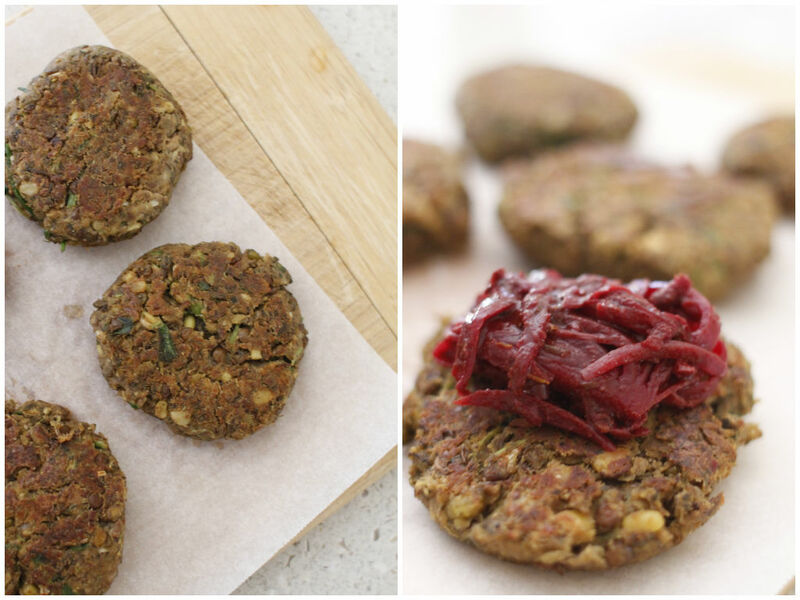 This lentil burgers with lots of flavours using spices, herbs and nuts are, I guarantee, as good as or better than the meat patties. It is gluten-free, vegetarian and vegan-friendly. You can make a big batch and freeze them as well. Great for easy light dinner on weeknights and also quick lunch on the weekends. It is up to you having it with salads, putting in the wraps or buns, adding poached eggs or smashed avocados on top. I topped with caramelised beetroot and onion and served with simple green salad. It is all delicious! Rinse and cook lentils in a boiling water for 20-30 minutes until cooked and tender. Rinse and drain. Put cooked lentils and all other ingredients in your food processor and pulse until all combined. Season to taste. Cover and put the mixture in the fridge for 30 minutes to set. If the mixture is too wet, add extra flour in. If too dry, add a bit of water or extra egg. Taste the mixture to adjust the flavour, as well. Take it out of the fridge, shape the mixture into little discs. You can either pan-fry with coconut oil or bake in the oven until golden brown.